Kenya has undertaken much work to date on data and knowledge issues, and has advanced this through the Kenya Data Forum—a national initiative managed by the Deputy President's office that aims to develop and implement a long term sustainable local data strategy. Kenya, however, lacks an organized framework for collecting reliable and comparable data on philanthropy in the country; to help meet this need, the Philanthropy Sector in Kenya has come together over the decades through the creation of the East Africa Association of Grantmakers (EAAG) and more recently the Kenya Philanthropy Forum (KPF) and its Data Sub-group. 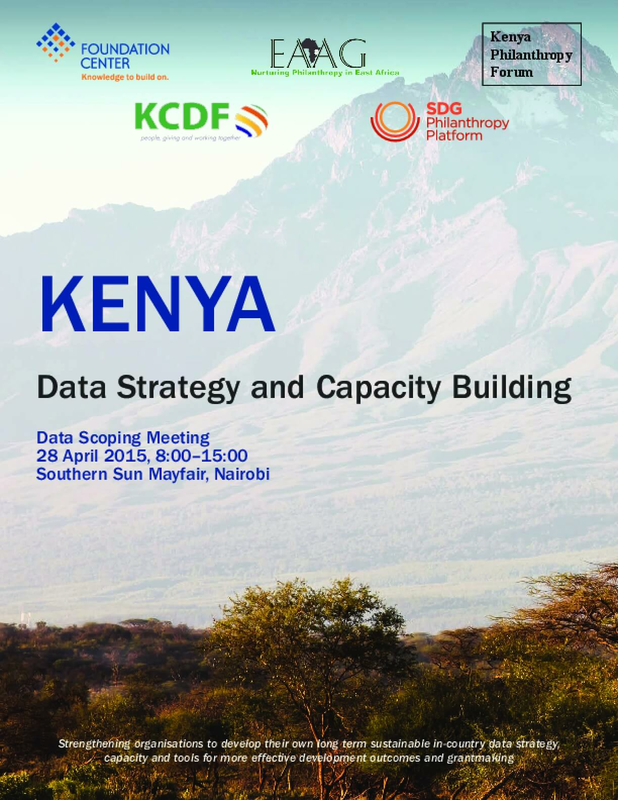 In June 2015 the KPF organized a Philanthropy Data Management convening that brought together over 30 foundations and trusts to explore opportunities for strengthening data collection, management, and sharing data in the philanthropy forum for greater impact and influence on national development efforts in Kenya. As a result, certain outcomes and aspirations were agreed upon. They included: Establishing the principles for data management for philanthropy. 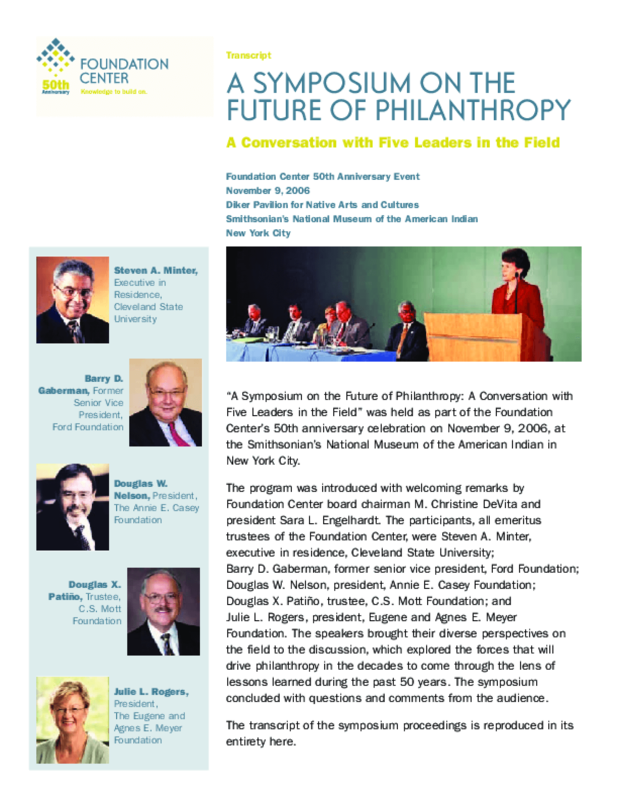 Expanding the forum so that participation reflects the size and diversity of existing forms of philanthropy. Developing a standardized tool for data collection. Actively engaging in the existing philanthropy data initiative. Partnering with the Kenya National Bureau of Statistics (KNBS) to establish data sets that effectively capture the contribution of philanthropy in Kenya's development. 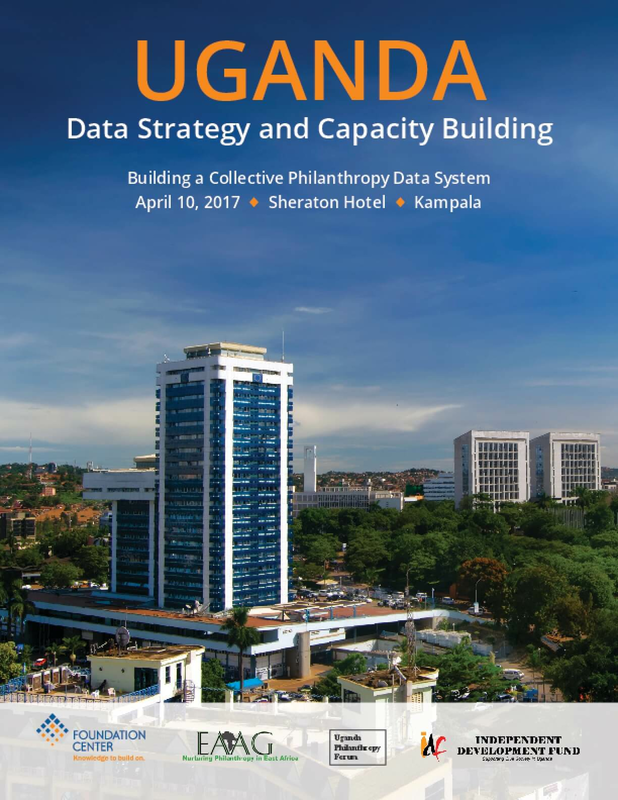 The June 2015 meeting highlighted the urgent need for philanthropic data and that "Kenya lacks an organized framework for collecting reliable and comparable data on philanthropy in the country." To begin systematically addressing these recommendations, Foundation Center (a philanthropic support organisation based in New York) designed a multi-stage Data Strategy and Capacity Building Program, working in partnership with KPF, EAAG, Kenya Community Development Foundation (KCDF), and the Sustainable Development Goals Philanthropy Platform (SDGPP). This initiative was kicked off at a special "Data Scoping Meeting" of the KPF on 28 April 2016, attended by a total of 51 participants representing across section of Kenyan foundations, trusts, and support organisations. As reflected in the meeting agenda (see Appendix A), the objectives of the Data Scoping Meeting were as follows: 1. Establish principles for collaborative data and knowledge management 2. Understand the core data needs of philanthropy in Kenya 3. Leverage available technologies for collecting and sharing data and knowledge 4. Leverage global knowledge for local purposes 5. 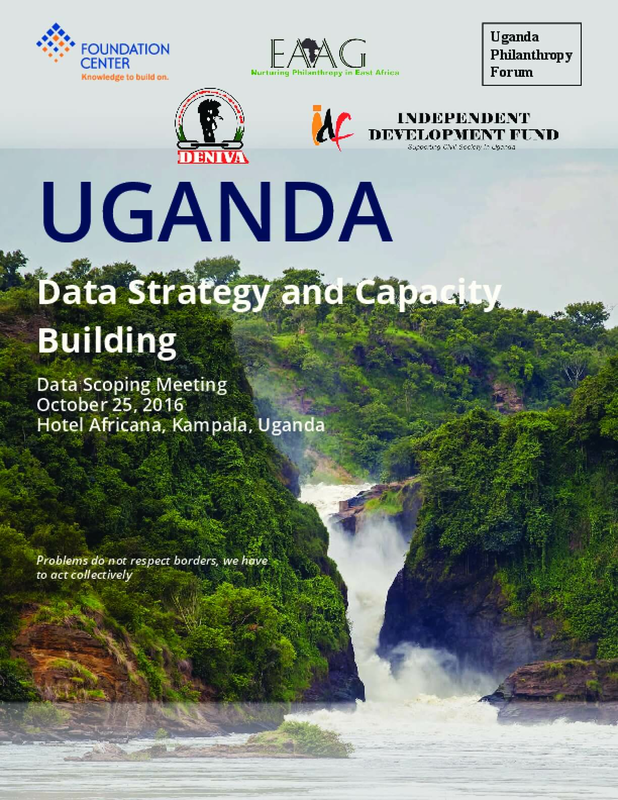 Identify data challenges and set local goals This report summarizes the outcomes of the Data Scoping Meeting and outlines next steps in preparation for a follow-up meeting on Data Capacity Building in the coming months. This report highlights the key outcomes of the Building a Collective Philanthropy Data System Workshop held in Dar-Es-Salaam on April 13th 2017, the third in a series of workshops conducted over the past year in Tanzania as part of the Data Strategy and Capacity Building Program, a joint effort of East Africa Association of Grantmakers (EAAG), Tanzania National Philanthropy Forum (TPF), Foundation Center, the Foundation for Civil Society, and more than 15 Tanzanian philanthropic organizations. The program aims to strengthen the capacity of foundations and trusts to collect, analyze, and share reliable data to highlight the value of philanthropy to national development outcomes in Tanzania, facilitate philanthropic collaboration, and inform grantmaking and programmatic decisions. 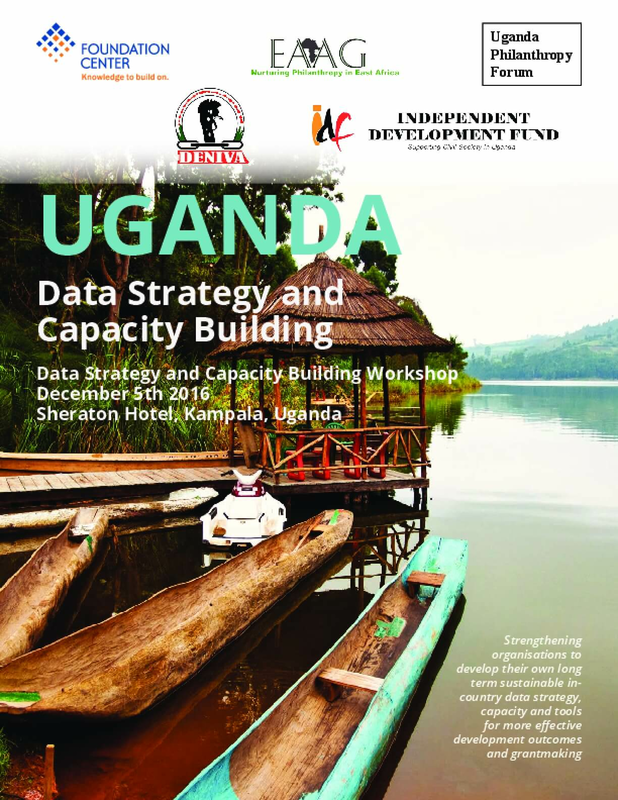 The most recent workshop, Building a Collective Philanthropy Data System, was held to move the program from the initial strategy development phase to implementation. The workshop sought to solidify agreements made during the first year of the program and was focused on the development of a prototype data portal for the philanthropy sector in Tanzania. The partners agreed on which data are shareable at this time and outlined a suggested structure for the data portal. Having agreement on which information to share and how to structure it was crucial at this point in the process, as it will serve as a framework for data collection and to make sure the data that will ultimately be shared is contextually relevant and applicable. Further, the partners continued to refine the strategy and agreed on partner roles and concrete next steps. 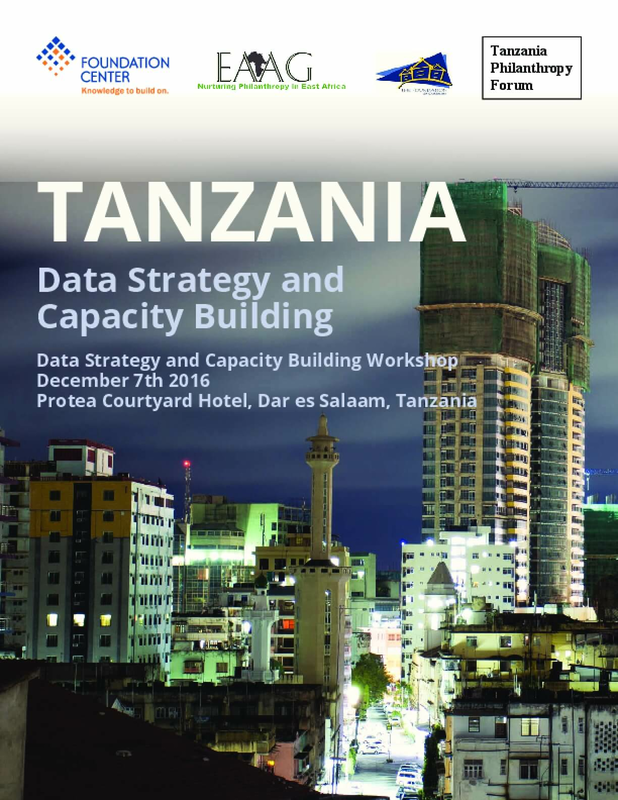 This report presents key outcomes from the Tanzania Data Strategy and Capacity Building Workshop, held in Dar es Salaam on the 7th of December 2016 The workshop brought together local philanthropy stakeholders who participated in a "Data Scoping Meeting" held on the 27th of October 2016. 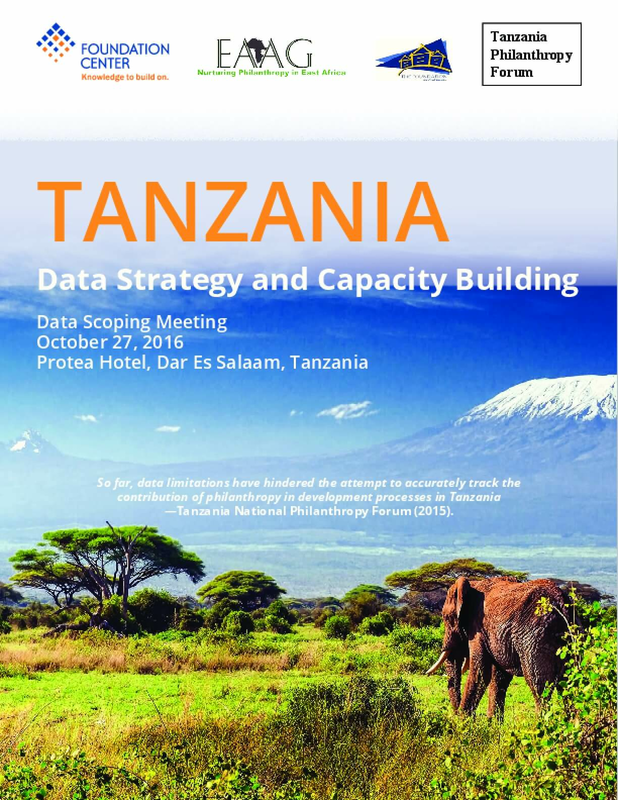 This initial meeting identi ed the need to build capacity in data management and explore strategies for developing a collective philanthropy data system for Tanzania. The Data Strategy and Capacity Building Workshop was hosted by the Tanzania National Philanthropy Forum (TPF) in partnership with Foundation Center, East African Association of Grantmakers (EAAG) and The Foundation for Civil Society. 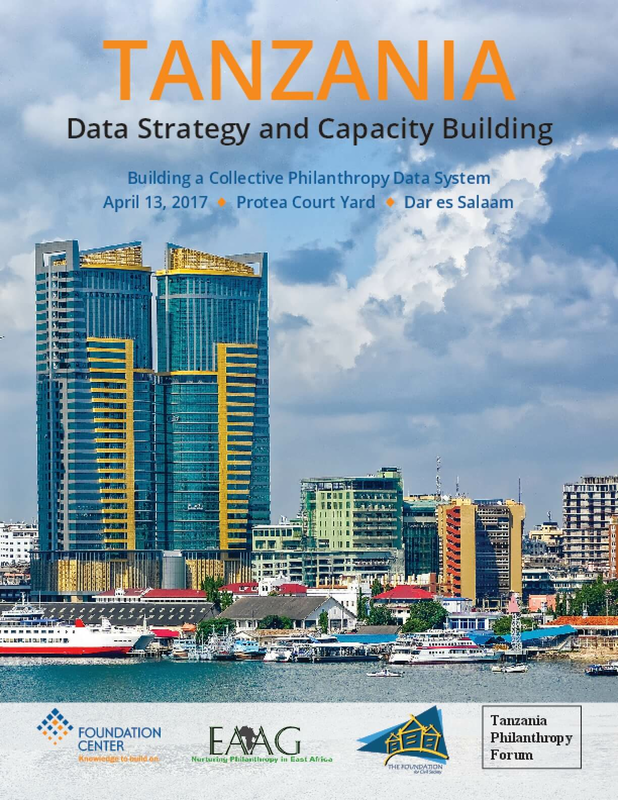 The ultimate goal of the Data Strategy and Capacity Building work in Tanzania is to lay the necessary groundwork for the local philanthropy sector to build and operate its own data collection system. The two workshops held to date provided opportunities for key stakeholders to develop a sense of common purpose around data collection and sharing. The result of the meetings was the creation of an Action Plan that identifies critical areas of work that need to be undertaken by TPF to build a sustainable data collection system and a community of practice committed to its achievement. The elements of that Action Plan are presented in this report, beginning on page 8. Tanzania has seen significant improvements to its national development data infrastructure in recent years. In February 2016 the country adopted an Open Data Policy aimed at increasing access to government data and promoting increased transparency and partnerships for social and economic development. Key government data has been made available for use by civil society organizations (CSOs) and the media through an open data portal. Additionally, the 2016-2021 National Development Plan includes among its key objectives the need to integrate the Sustainable Development Goals (SDGs) targets into its Monitoring and Evaluation Framework. However, existing data initiatives are largely government driven and do not take into account data from or about civil society actors. In particular, Tanzania lacks a dedicated platform and framework for collecting, sharing and analyzing data on philanthropy. In September 2015, inspired by similar initiatives in other East African Countries, the Foundation for Civil Society partnered with the East Africa Association of Grantmakers (EAAG) to form the Tanzania National Philanthropy Forum (TPF). The launch of the TPF marks an opportunity for the philanthropy community in Tanzania to come together and strengthen its voice and influence in national development processes. The Foundation Center's first report benchmarking the level of engagement of U.S. foundations in policy-related activities reflects an increase in grantmaker support for research, public education, and resources to policymakers in recent years. 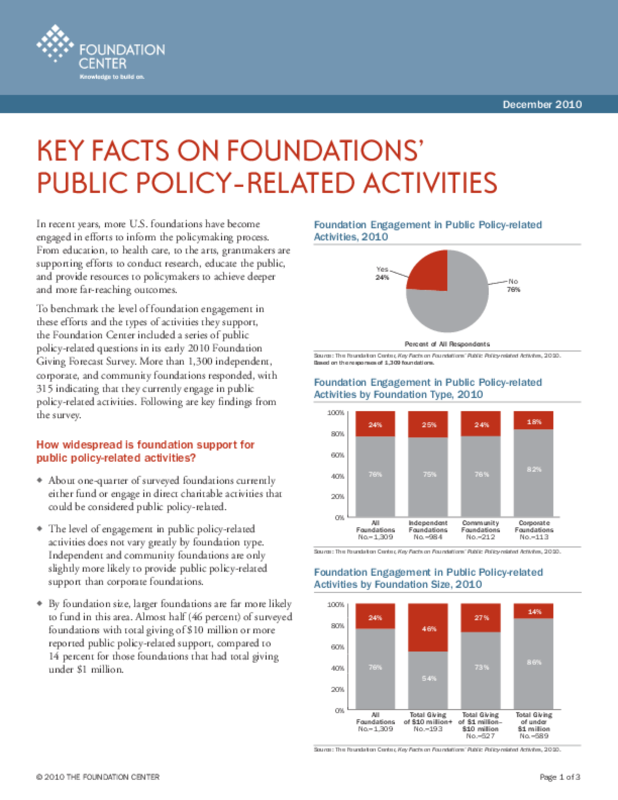 Key Facts on Foundations' Public Policy-related Activities finds that one-quarter of the more than 1,300 foundations that responded to a survey either fund or are engaged in such activities, with larger foundations far more likely to participate than smaller ones. In fact, more than half of those who engage in public policy-related activities increased their levels of support over the last five years. 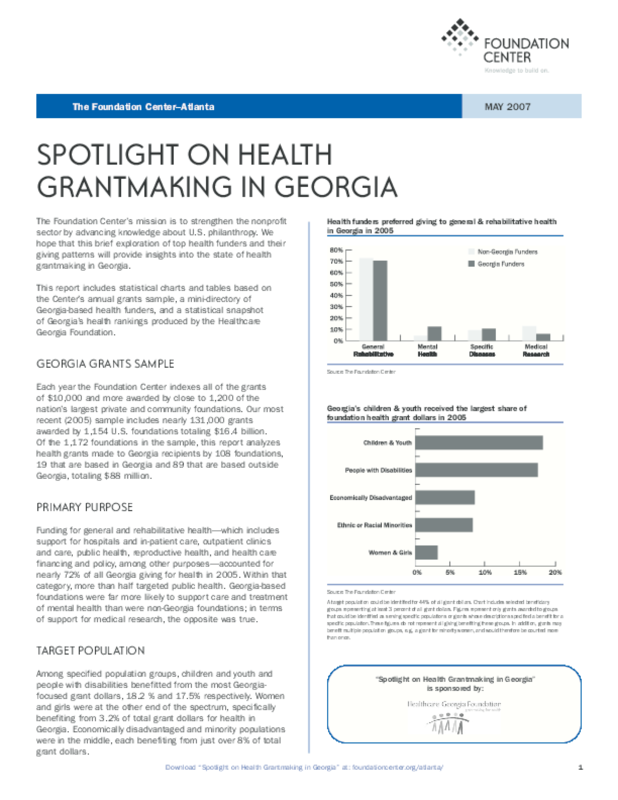 Georgia's 13 community foundations held assets of more than $1.1 billion in 2007 and gave over $104 million, according to Key Facts on Georgia Community Foundations, a report prepared by the Foundation Center and the Nonprofit Studies Program of the Andrew Young School of Policy Studies at Georgia State University. 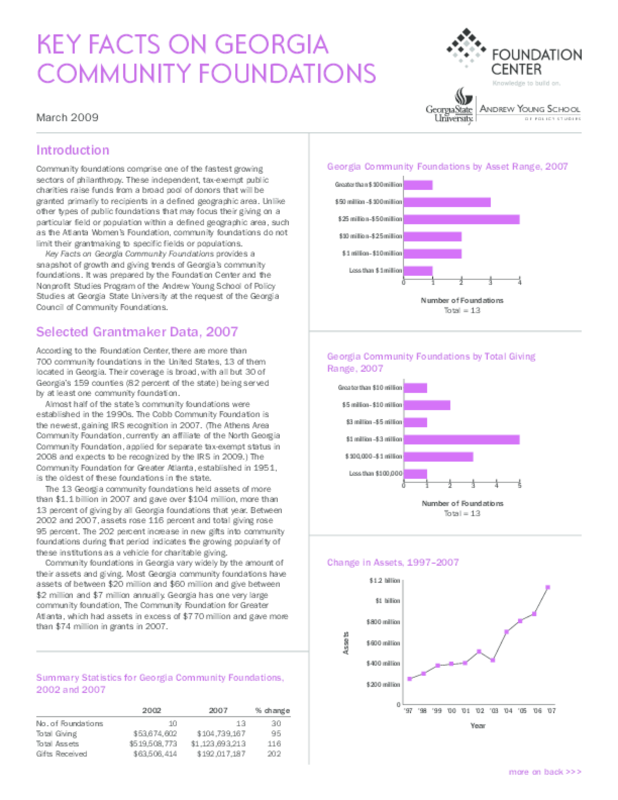 Between 2002 and 2007, there was a 202 percent increase in new gifts into community foundations, indicating their growing popularity as a vehicle for giving. The Foundation Center has identified more than 40,200 independent foundations with measurable donor or donor-family involvement. These "family foundations" represent more than half of all independent foundations and account for similar shares of independent foundations' giving, assets, and new gifts and bequests from donors. If all of the nation's family foundations could be identified, these shares would undoubtedly rise.